I ate everything in sight when I was pregnant with my first child twelve years ago. I have always had self esteem issues even before I gained weight. At first I felt like I deserved to be fat and miserable. My turning point was a trip to the ER in an ambulance. I thought I was having a stroke. My hand and left side felt numb and I had big spots in my vision. It turned out to be a migraine with aura and the doctor basically said I was doing it to myself. My cholesterol was high, my bp was high and I was starting to have serious joint pain. At first I just decided to watch what I ate closer and then I went an weight watchers for a while. Finally I found the paleo diet and my whole 30 changed my life. I love knowing I am eating healthy and doing what’s right for my body. Even better is knowing I no longer have to worry about gaining the weight back! I took a few months to really tell I was making good progress in the right direction. The hardest part for me was changing my I deserve to be fat and unhappy mind set. I felt like giving up almost daily. What kept me going was wanting to be a good role model for my kids. Especially my young daughter. 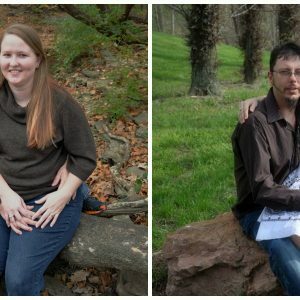 After a year on weight watchers I quit losing weight and then my husband was diagnosed with celiac disease. We changed to an all paleo diet at his doctors recommendation and I finally lost the last few pounds. It took a little over a year. 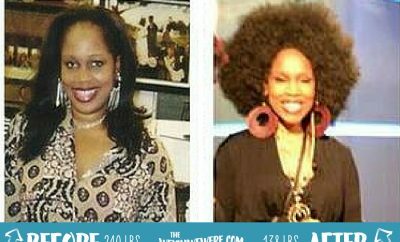 RELATED: Weight Loss Before and After: The Janssens Walked Off 191 Pounds!" My blood pressure and cholesterol are well within normal ranges. My joint pain and migraines are way fewer and farther between. When I was heavier I ate a lot of processed food all day long, whenever I felt like it. Now I eat only whole, unprocessed foods ie meat, fruit, veggies, nuts and healthy oils. I used to dread getting up to do anything. Now I feel like I can go or do anything! Don’t starve it doesn’t help. Keep a positive outlook no matter what happens! If you fall off the horse just get right back on! If you really want something you can wait for it. If you wait it will be so much better! Next Story → 80 Pounds Lost: Collegiate Weight loss – I promise it’s not impossible!